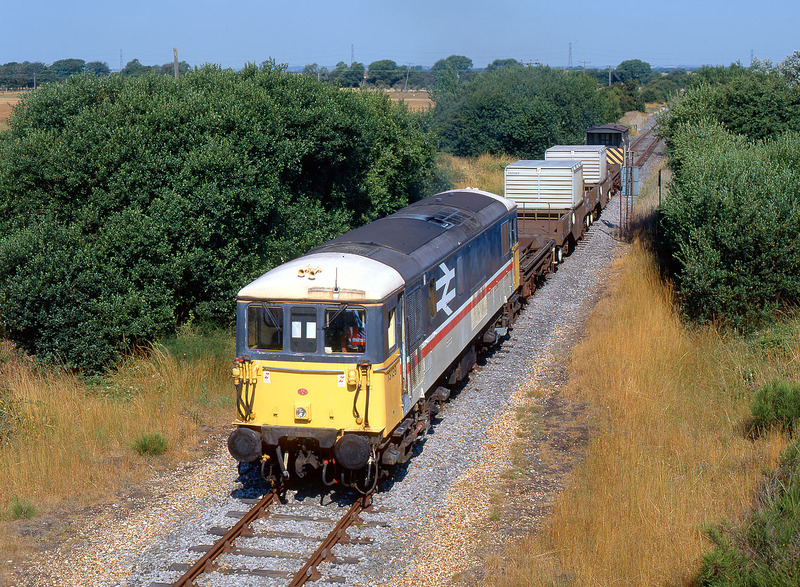 73139 arrives at Lydd with the Thursdays only 7O62 06:29 Willesden to Dungeness empty nuclear flasks on 25 July 1996. The loco will stop just under the bridge, so that the guard can open the level crossing gates on the other side of the road, adjacent to the derelict Lydd station. The nuclear flasks had worked down from Sellafield to Willesden the previous day. It was such a hot day, that on the return trip the guard was sat outside on the flat platform between the brake van's verandah and headstock!